The stars of Andromeda and Perseus rise over the Rockies and Bow River in Banff. It was a beautifully moonlit night last night, in Banff National Park. 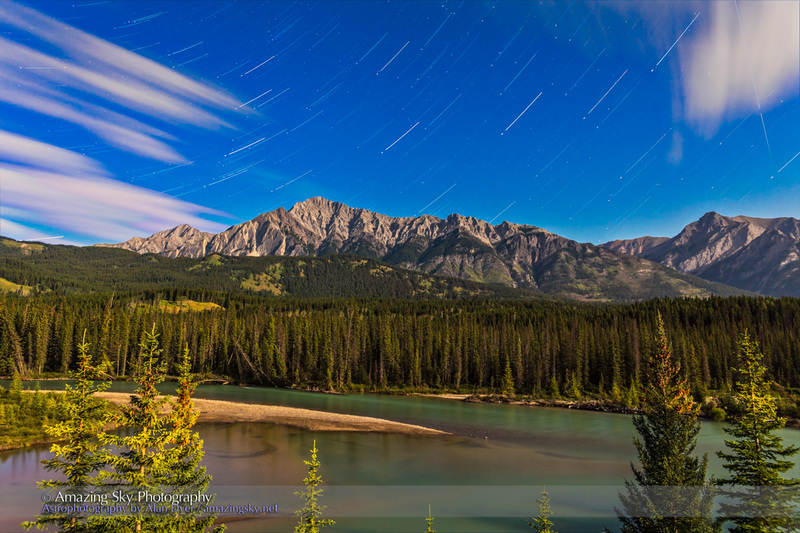 I shot the images for this star trail at a well-trodden viewpoint overlooking the Bow River. We’re looking east to the stars of the autumn sky in Andromeda and Perseus rising over the Front Ranges of the Rockies. The waxing gibbous Moon behind me lights the landscape and sky. The photo is a stack of 5 images: one a short 40-second exposure at ISO 1600 for the point-like stars, followed after a gap in time by a set of four closely-spaced 6-minute exposures at ISO 100, to give the long star trails. Shooting a handful of long exposures is the alternative to shooting dozens or hundreds of short exposures when you’re after star trails, and you don’t have any desire to collect a set you can turn into a time-lapse movie. 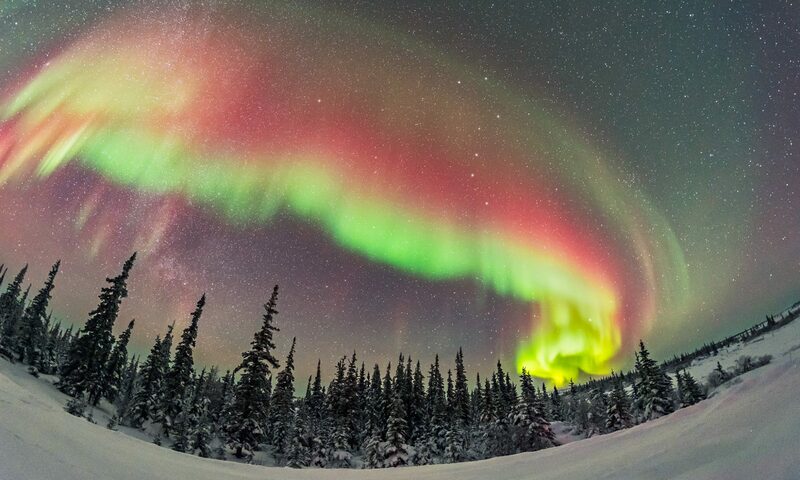 Indeed, shooting any time-lapses from this spot would have been futile – the location was a busy rest stop on the Trans-Canada Highway with cars and trucks pulling in, their headlights lighting up the foreground from time to time. But for still images, the site worked fine.